This entry was posted in News on 06/30/2014 by org. This entry was posted in News on 06/29/2014 by org. This entry was posted in News on 06/27/2014 by org. 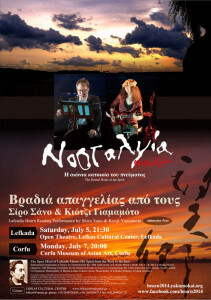 Noda Masaaki, the New York-based artist known worldwide, became interested in Lafcadio Hearn in 1995 when, at Takis Efstathiou’s invitation, he visited Lefkada and had the opportunity to tour the house where the writer was born. Since then Noda has reflected on the trajectory Hearn took—from Greece, to Ireland, to the U.S., and to Japan, where he is particularly famous under his Japanese name, Koizumi Yakumo. 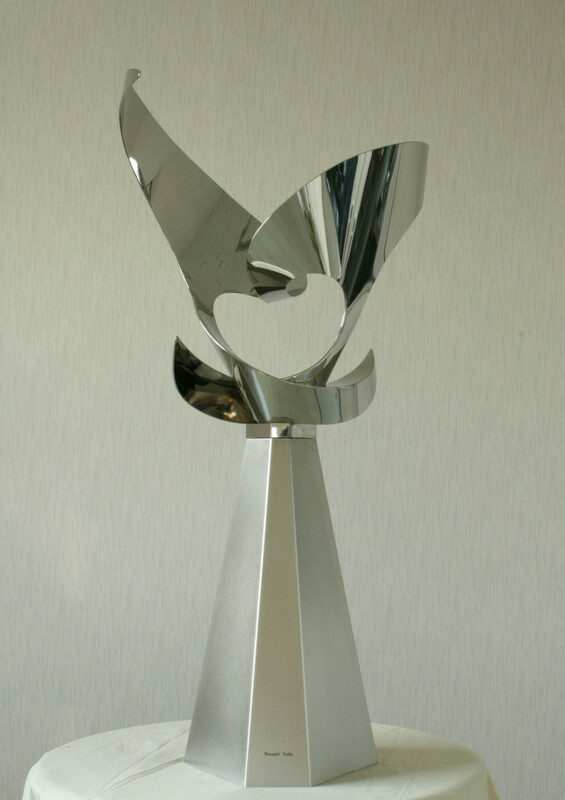 In 2009 Noda unveiled his sculpture at the opening ceremony for the events at the American College of Greece, in Athens, held to mark the 110th anniversary of Greek-Japanese friendship, with the theme of “Lafcadio Hearn’s Open Mind.” The following year, Noda presented the replica of the sculpture to Matsue, Japan, when the city held a special exhibition to commemorate the 120th anniversary of Hearn’s arrival in Japan in the donjon of the Matsue Castle. His sculpture stands by Lake Shinji, the city’s celebrated attraction. 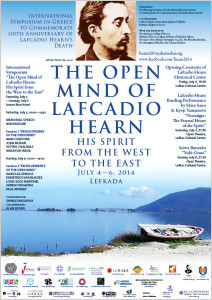 Noda’s sculpture for the Cultural Center for the Municipality of Lefkada is his third to celebrate Hearn, this time to mark the 110th anniversary of his death. 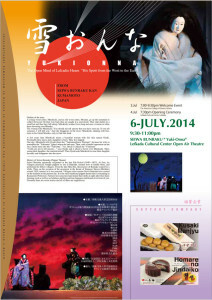 It is titled “Lafcadio Hearn—Odyssey of an Open Mind” to show the start of his wanderings from here to Japan. The two wings suggest the beginning of his youthful, dynamic hope, as well as the East and the West, and the heart shape created in between the “co-existence” of the two spheres. This entry was posted in News on 06/15/2014 by org. This entry was posted in News on 06/11/2014 by org.